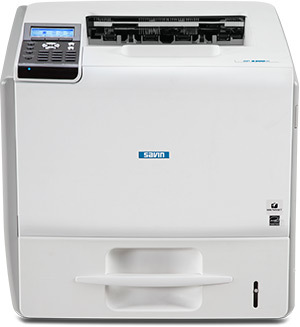 The Savin SP 5200DN/SP 5210DN b&w laser printer was designed to accommodate demanding workloads without compromising efficiency, productivity or your budget. 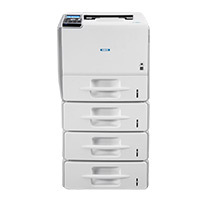 Ideal for mid-volume print environments, this robust system offers outstanding speed, flexible paper handling and convenient management tools in a compact design. Plus, with this system you can quickly and securely produce a wide range of office and host print jobs with high-quality output and low per-page print costs to reduce total cost of ownership. 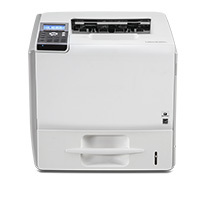 Ships with a Starter AIO Print Cartridge that yields 6,000 prints (ISO/IEC 19752). 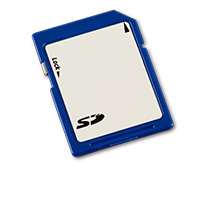 The SP 5210DN ships with Hard Disk Drive and maximum Memory pre-installed. Up to 4 paper feed units may be added to the mainframe for a maximum paper capacity of 2,850 sheets, one of these must be the Paper Feed Unit TK1130 with Casters. 1. The assistance of a technician is recommended when installing all 4 optional Paper Feed Units. 2. Paper Feed Unit TK1120 cannot be installed with Tall Cabinet Type A. 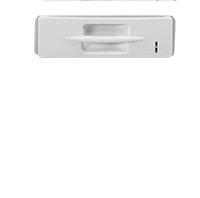 This paper feed unit includes a lock for securing sensitive or expensive paper. 2. Paper Feed Unit TK1120L cannot be installed with Tall Cabinet Type A. This paper feed unit includes Teflon tape for improved feeding of label media. 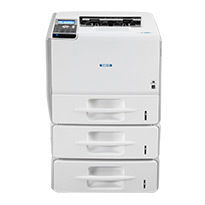 For environments that want to maximize paper capacity. This paper feed unit has casters built-in so the device can be moved easily as well as stabilizers for safety. 1. The assistance of a technician is recommended required when installing all 4 optional Paper Feed Units. 2. Paper Feed Unit TK1130 with Casters cannot be installed with Tall Cabinet Type A or Medium Cabinet Type B. 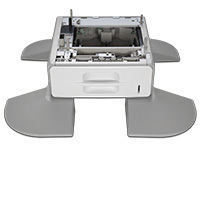 Raises the SP 5200DN/SP 5210DN to a comfortable height for floor-standing configuration. 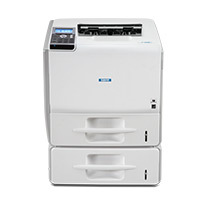 Recommended when configuring the printer with one or two optional 500-sheet Paper Feed Units (TK1120/TK1120L/TK1120T only). Medium Cabinet Type B cannot be installed with Paper Feed Unit TK1130 with Casters or Tall Cabinet Type A. Raises the SP 5200DN/SP 5210DN to a comfortable height for floor-standing configuration. For use with printer base unit only. Tall Cabinet Type A cannot be installed with Paper Feed Unit TK1120, Paper Feed Unit TK1120L, Paper Feed Unit TK1120T, Paper Feed Unit TK1130 with Casters or Medium Cabinet Type B.
IEEE 1284 Interface Board Type A cannot be installed with IEEE 802.11a/g Interface Unit Type L or Gigabit Ethernet Board Type C.
IEEE 802.11a/g Interface Unit Type L cannot be installed with IEEE 1284 Interface Board Type A or Gigabit Ethernet Board Type C.
Allows device to support a network data speed of 1,000 megabits per second, which increases the speed of data transmission. 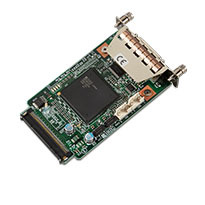 Gigabit Ethernet Board Type C cannot be installed with IEEE 802.11a/g Interface Unit Type L or IEEE 1284 Interface Board Type A. 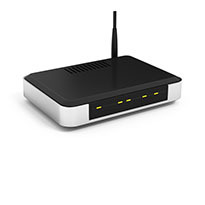 Option for the SP 5200DN only. 1. Required when installing VM Card Type O. 2. Recommended when installing IPDS Unit Type 5200. Increases the memory (RAM) and allows customers to use Extended Features. Maximum capacity is 768MB. Memory Unit Type I 512MB cannot be installed with Memory Unit Type G 256MB. Memory Unit Type G 256MB cannot be installed with Memory Unit Type I 512MB. 1. 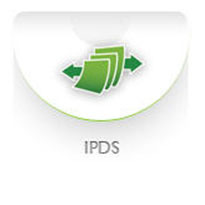 Memory Unit Type I 512MB is required when adding the IPDS option to the SP 5200DN. 2. Hard Disk Drive Type 4310 is recommended. By choosing this option with SP 5200DN, Hard Disk Drive Type 4310 will be added to your configuration. 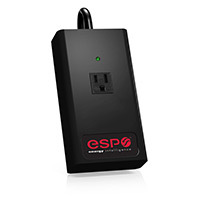 The affordable ESP AC1 power filter provides multi-stage power protection for output devices. Our Advanced Technical Support (ATS) recommends the use of Power Protection products to minimize potential electrical interference with products. Declared yield value in accordance with ISO/IEC 19752. Actual yields may vary based on images printed and other factors. 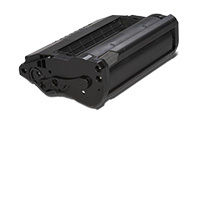 Toner is included with the mainframe, but we recommend ordering another set for backup. 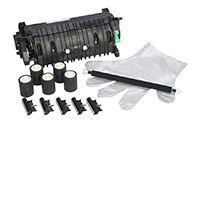 Includes Fusing Unit, Transfer Roller, 5 Feed Rollers and 5 Friction Pads.